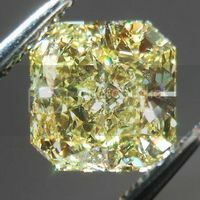 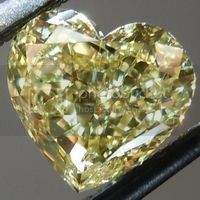 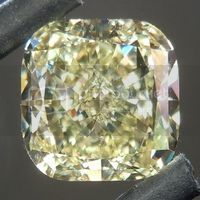 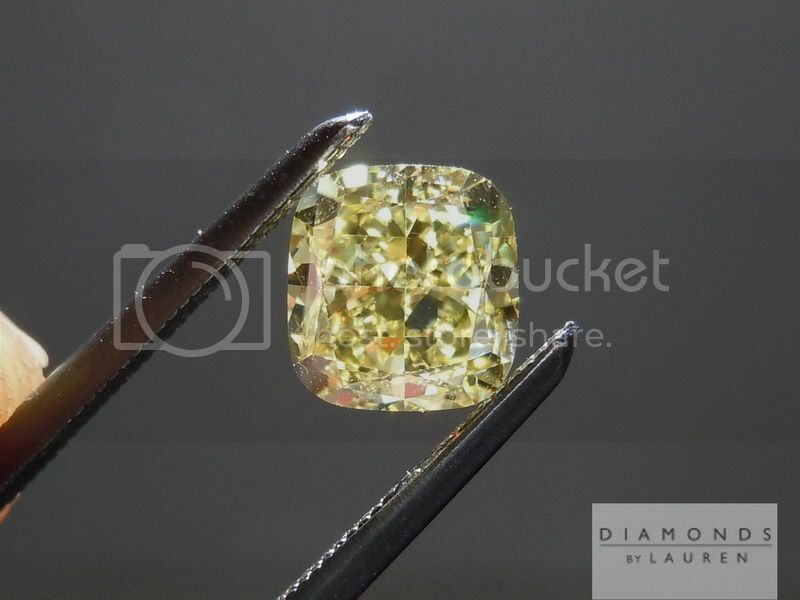 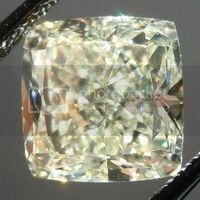 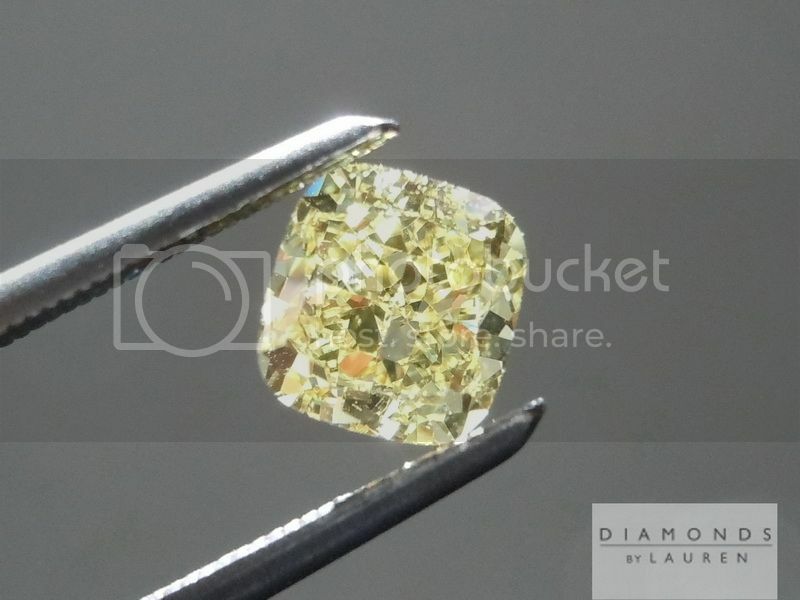 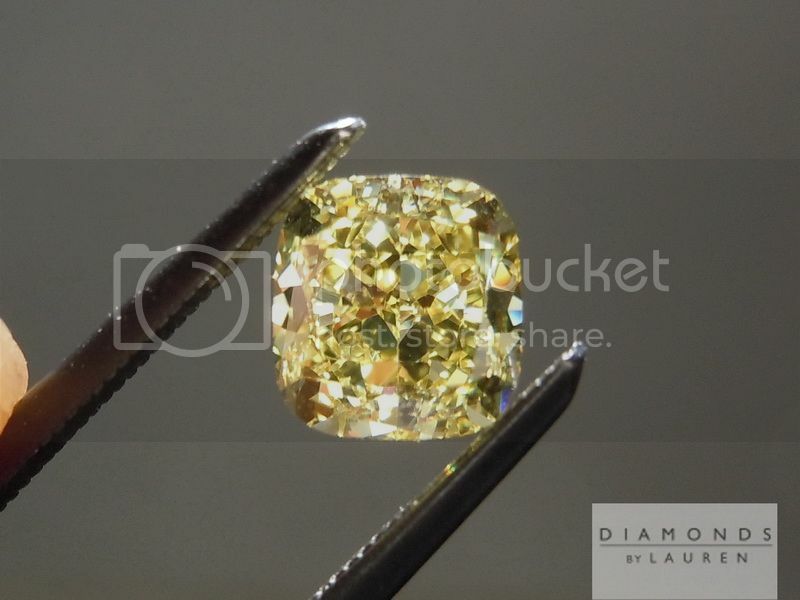 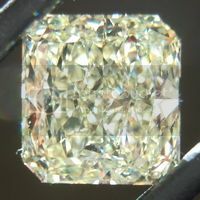 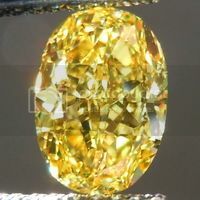 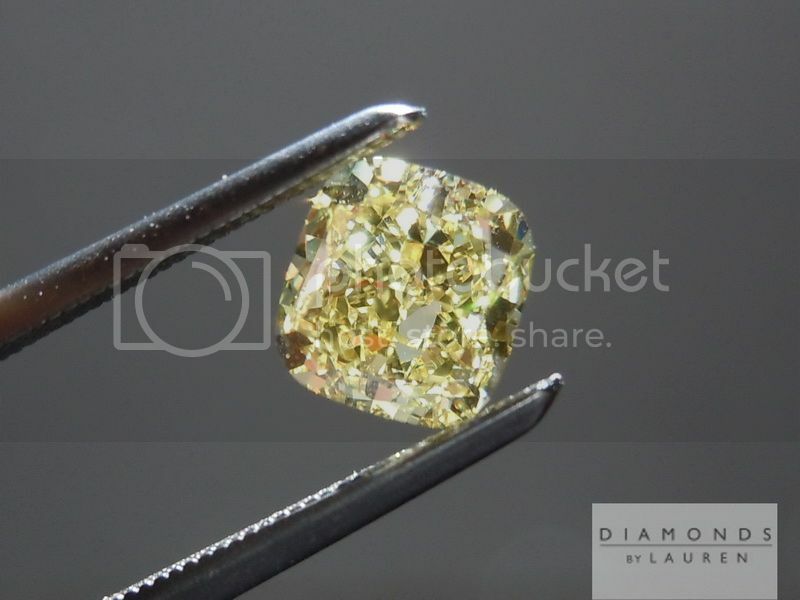 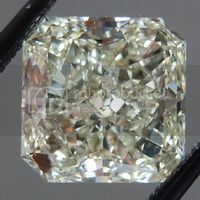 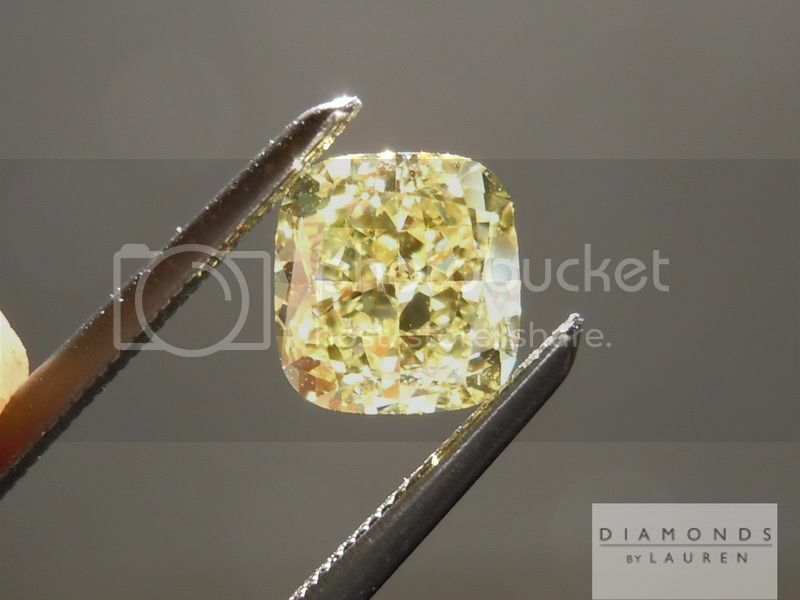 Here is a no-excuses Fancy Intense Yellow VS1 Cushion Diamond. 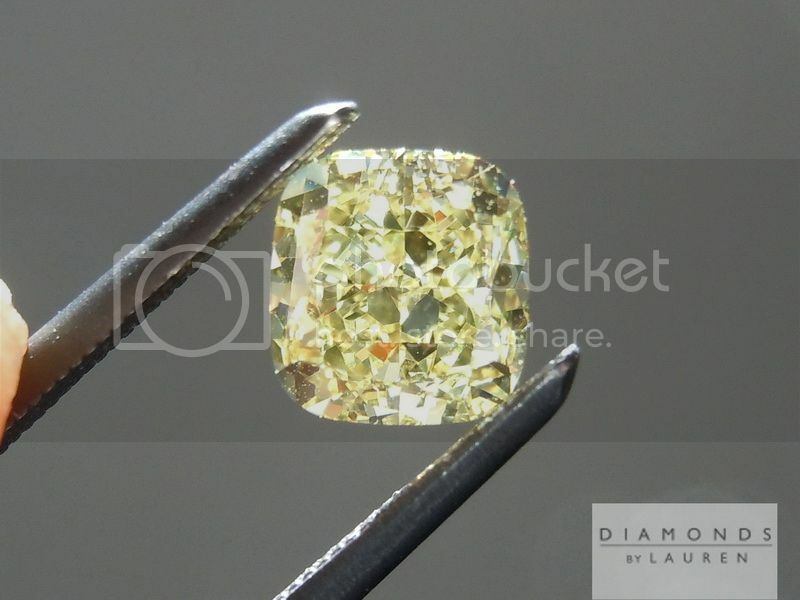 There’s no fluorescence, and it’s a VS1 - the stone is totally eye clean. 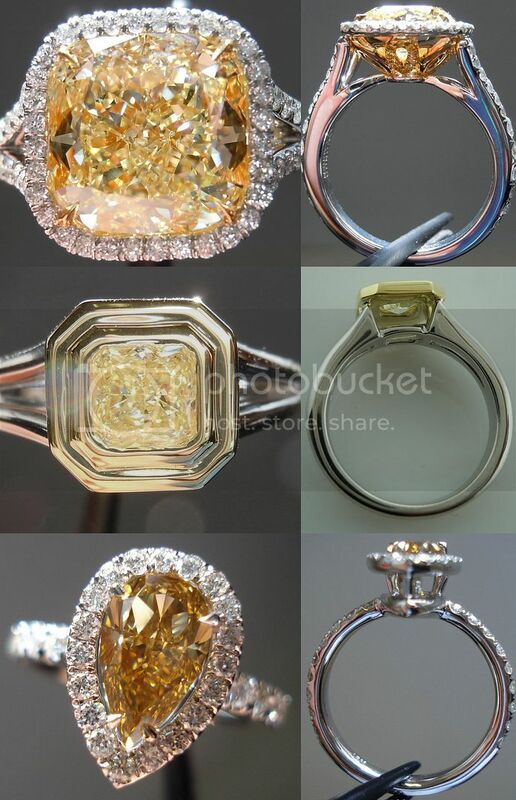 Most important is what you can tell in this series of photos - taken in a variety of lighting. 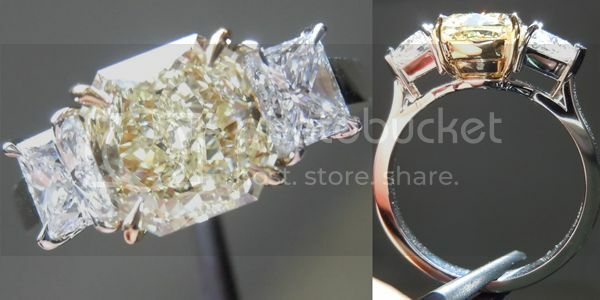 The cut is amazing and you can see what I love about it in the photos. 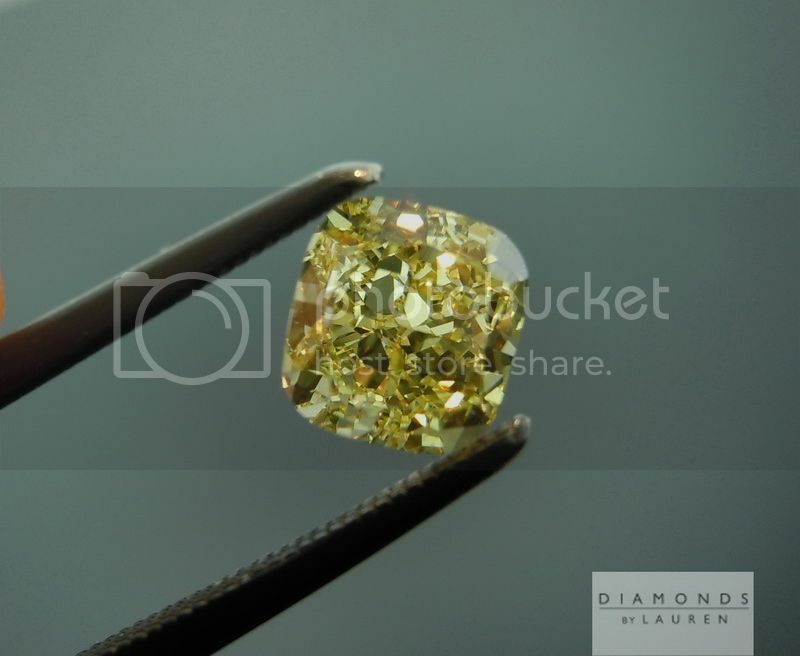 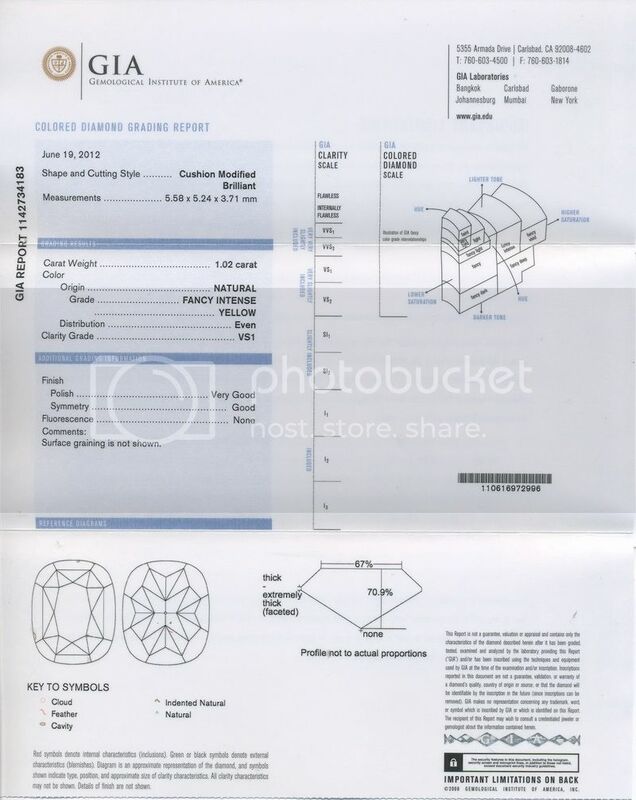 That’s why we purchased the stone from a DeBeers Site Holder - from which we purchase a lot of stones on a weekly basis. 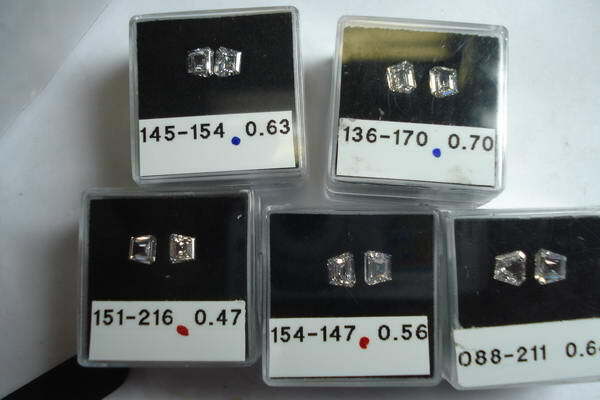 We own our diamonds, so they’re not available anywhere else.